Cracking IIT JEE exam is the dream of every child studying non-medical sciences at school. But, only brilliant students qualify for admissions in some of the topmost institutions of India. JEE Main examination is conducted every year on the basis of which students qualify for counseling in different colleges of the country. Only the students who have scored more than the cut-off score qualify for admissions in some prestigious institutes of our country. So this year too, the results will be calculated on the basis of JEE Main 2016 Answer Key. This answer key will be available shortly after the examination is conducted successfully. Here, we have shared the top 7 tips to crack JEE Main examination easily. You need to follow these tips to crack JEE Main 2016. Following these tips will ensure that most of your answers match to that in JEE Main 2016 Answer Key. The JEE Main examination is conducted by Central Board of Secondary Education (CBSE). Make sure that you don’t neglect any single topic. The paper setters are the people from prestigious institutions and they know what most of the students like to leave. They will definitely shoot out few questions from the topics you left and this may bring trouble to you. So, it is advisable not to neglect a single topic from the JEE Main Syllabus. Every one of us has a certain interest. Most of us will have a favorite subject out of the three. But we need to study each subject equally, especially the one in which we are weak. So, study each of the subjects in equal proportion and check out JEE Main 2016 Answer Key after giving the examination to find out how many of your answers are correct. The biggest blunder done by most of us is trying new topics in last days prior to JEE Main examination. Often we check out questions and JEE Main Answer Keys corresponding to the questions. We fall in trap and try to memorize few of these questions with newer concepts. Avoid such things. Revise the things you have known well till now. This is one of the best things you can do to improve your speed and confidence. You should try solving the paper attempting maximum questions. 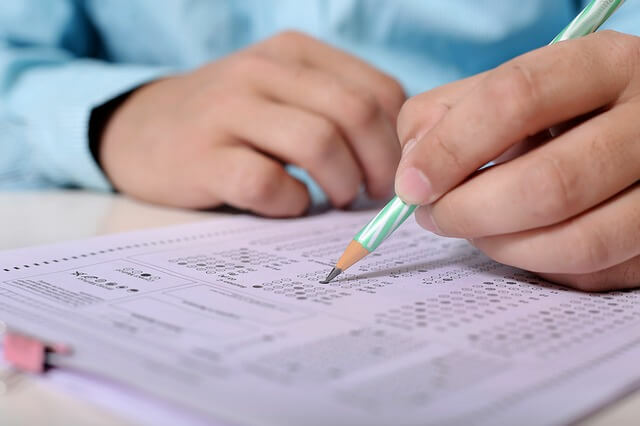 After that you can check out JEE Main Answer key for the set of question paper you have attempted to check how many questions have been attempted successfully. The candidates who have opted for the online mode can give the JEE Practice exam online. Many instituted providing coaching for JEE offers the test series. Opt for the test series and solve the questions. After that check JEE Main Answer Key for the question you have attempted in practice exam given online. Revision is must. JEE Mains is a big exam for the non-medical science students. One needs to revise the syllabus at least twice before the examinations so that he/she can memorize the things for longer time. Make a proper schedule for revision and practice. But before you start revising, make sure that you have gone through the entire syllabus at least once. A proper 8 hours sleep is needed to freshen up your mind and body. Make sure that you sleep well as per your schedule. Also, eating the right food is recommended to students who are preparing for JEE examination. Health is everything and must not be compromised. Eat a good balanced diet before the examination so that you get efficient nutrients and you health remains good. Cracking the JEE Examination is what most of the aspiring students dream of, but only few brilliant minds can get admissions in the desired college. Marking the correct answers is necessary. After the examination, one must check out JEE Main Answer Key 2016 to know how many questions have been attempted correctly.